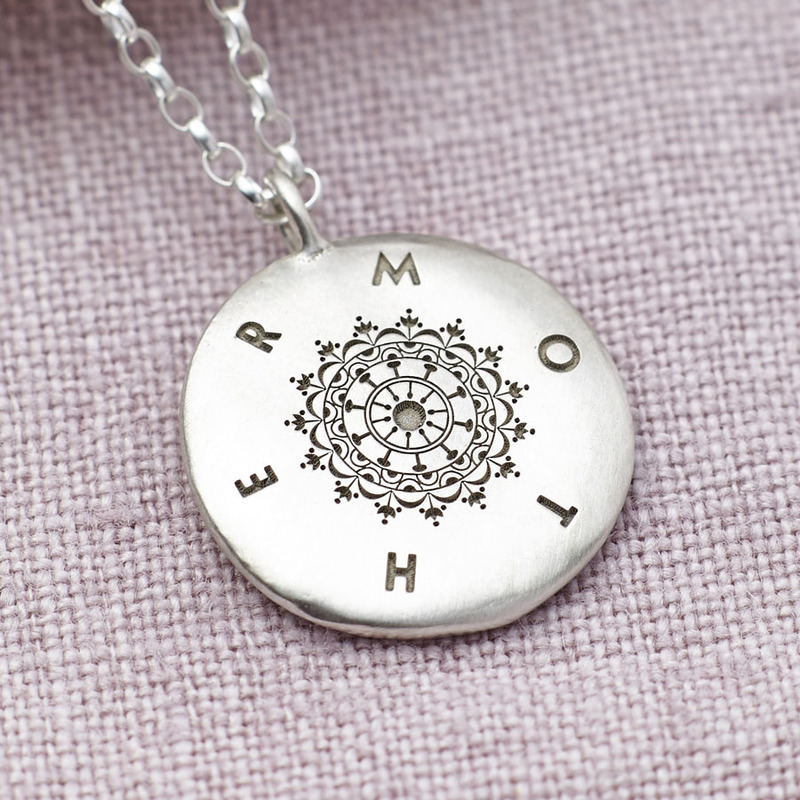 A personalised sterling silver necklace featuring a beautiful mandala design surrounded by the word ‘mother’. A hidden message can be engraved on the reverse. 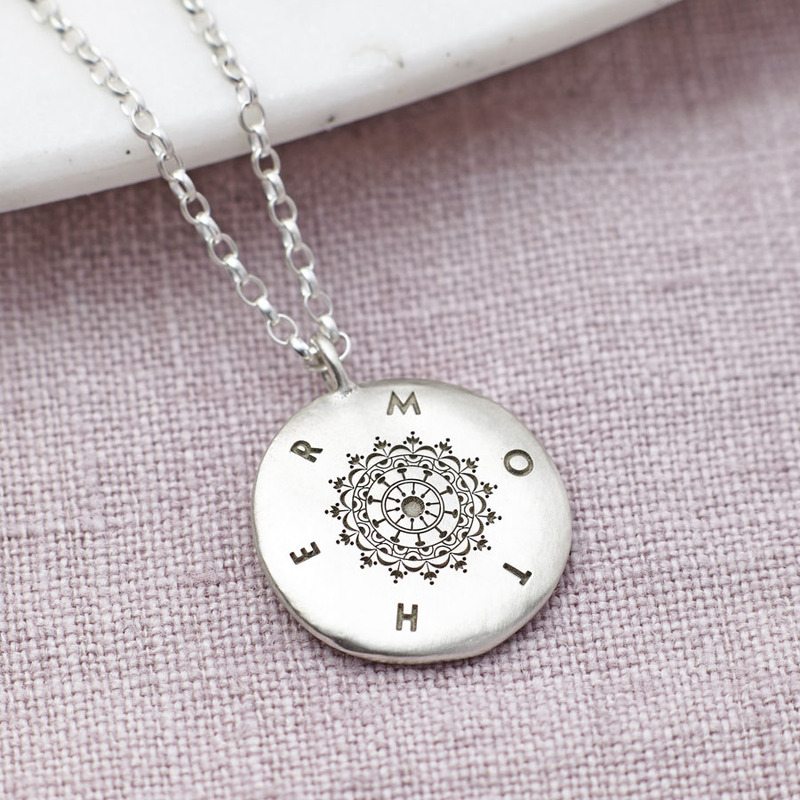 The mandala is used to symbolize unity, harmony.and happiness. 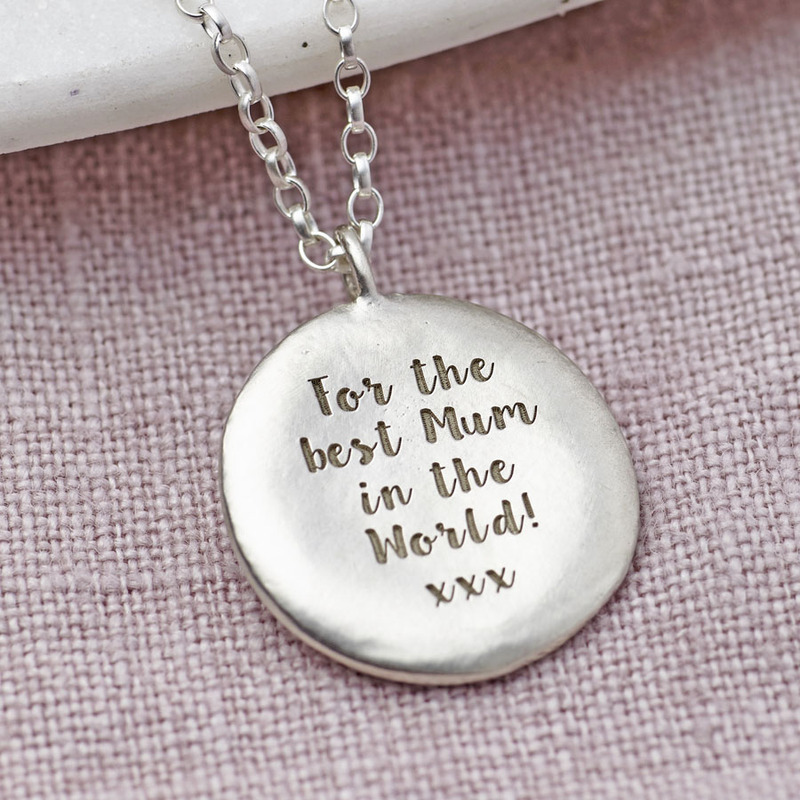 Handmade to order in our studio, this sterling silver necklace is a perfect gift for your mum, or celebrate your motherhood and treat yourself! All engraving is carried out in our studio so that we have complete control over the quality. A sterling silver belcher chain measuring 50cm is included in the price. We have longer or shorter chains if you would prefer, please just get in touch to enquire about these. 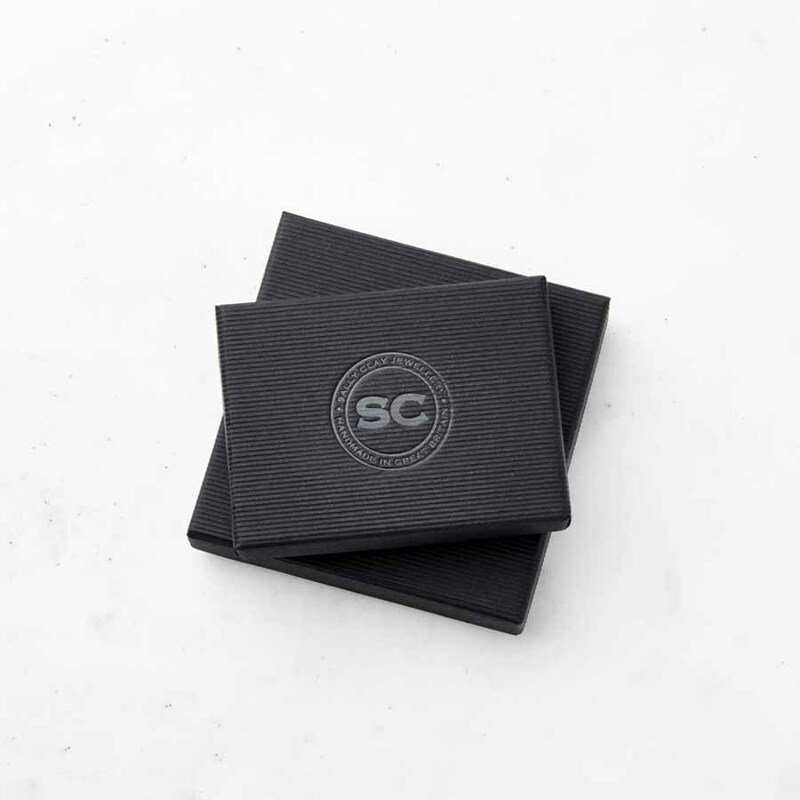 The necklace is presented in a complimentary Sally Clay Jewellery box. Silver Pendant measures 1.9cm and is 2mm thick.